The UWE English Department is running a Bristol Green Capital themed ‘Poem of the Month’ project. We would like to recruit a student interested in illustrating the series of poems - responding to a nature and writing theme. 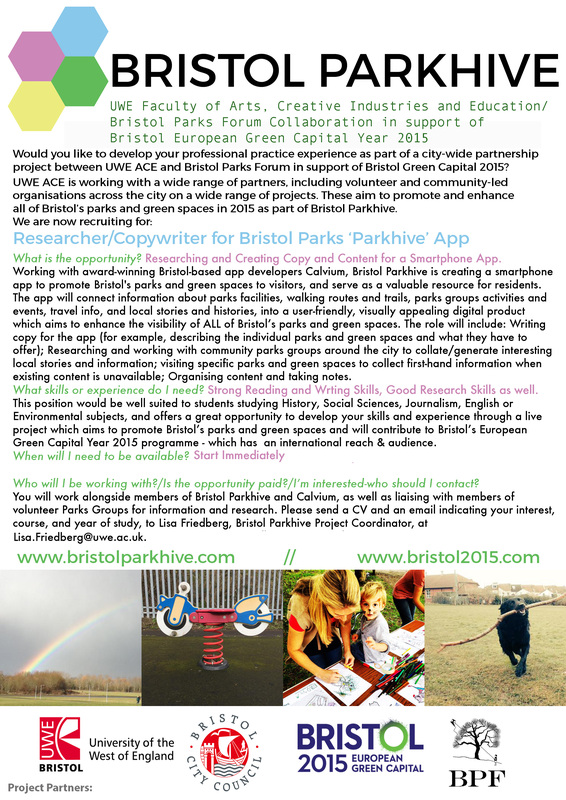 Initially, we are seeking a student who will design a physical display board for use to promote the project- there will be additional opportunities to illustrate individual poems and to create a digital publication of the work which will be promoted through Bristol Green Capital’s international networks, and through the Bristol Festival of Nature which attracts more than 15,000 visitors to Bristol Harbourside for it’s annual festival event. You can either work on the whole project, or commit to designing the display/promotional materials only. If you are interested in using your illustration skills to respond to text-based work and would like to contribute to Bristol Green Capital, please get in touch!